Q. Can I print or copy in color? To print in color, select the color option on the print screen when you send your document from the computer. Each program's print screen may differ slightly, so if you need help finding where to change the options, a library staff member can help you. 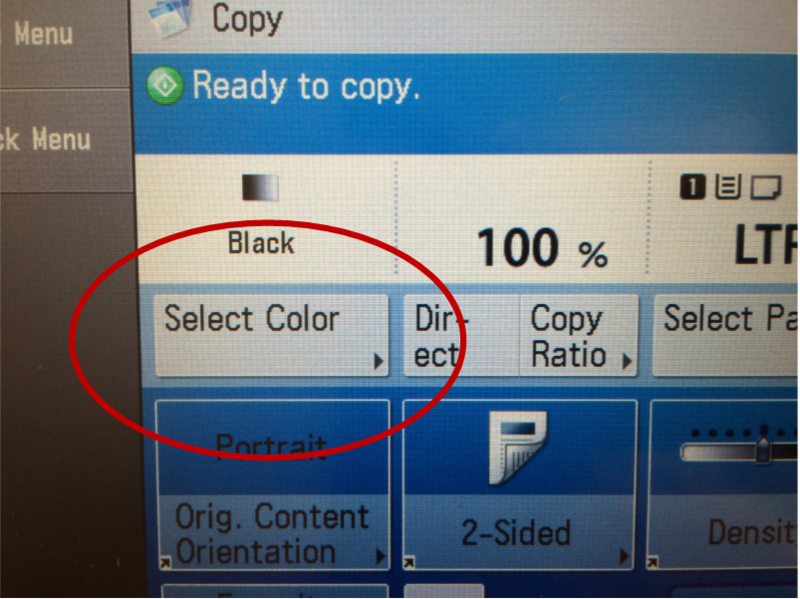 To make color copies, select the Auto/color option on the copy screen. Again, the library staff will be happy to help if needed.